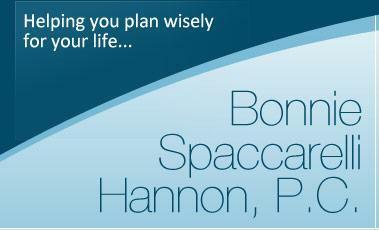 Attorney Bonnie Spaccarelli Hannon provides insightful, focused, and personalized legal counsel and representation to individual clients in the Chicago area who are interested in planning smartly for the future. Through experienced guidance in legal practice areas including elder law, real estate, estate planning, wills and trusts, probate law, guardianship law, and Medicaid planning, Attorney Hannon can assist clients who make the decision to contact an experienced Illinois elder care attorney and real estate lawyer. Too many people neglect to take the time and care necessary to plan prudently for the future regarding things such as elder care needs, estate administration, and real estate transactions.The law offices of Bonnie Spaccarelli Hannon, P.C., in Barrington, Illinois, provides clients with an opportunity to plan for orderly transfer of assets in full compliance with existing laws, and achieve goals of legacy through such tools as 1031 exchanges and living trusts. Bonnie Spaccarelli Hannon has been working with families throughout her entire legal career. Her early legal experience included family law and representation of juveniles. Her comprehensive understanding of family dynamics and her awareness of common legal challenges that families and individuals face translates to value for clients engaged in estate planning, real estate transactions, elder law matters and guardianship. Attorney Hannon usually takes into account, and advises clients on, ways in which their actions or failure to act can affect an entire family. She is particularly sensitive to the need to prevent legacies from being squandered through careless financial management on the part of other family members. She understands grandparents’ concerns, and has clear strategies designed to protect their rights and safeguard their long-term goals for their assets, their health, their families, and their legacies. Attorney Hannon has highly developed interpersonal skills and applies them to clear communication with elderly people and their families. She is equally sensitive to elder law concerns and the impact children’s issues have on family financial planning. 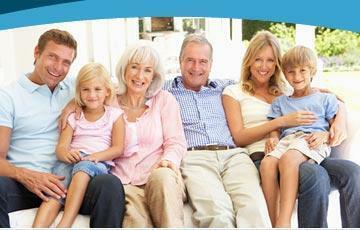 Illinois elder care attorney Hannon can assist you with quality legal counsel designed to meet your needs. To schedule an initial consultation with an experienced Illinois attorney, contact an experienced attorney. Cook County probate court attorney providing probate court, probate laws, real estate, and estate planning legal services to clients throughout Illinois. 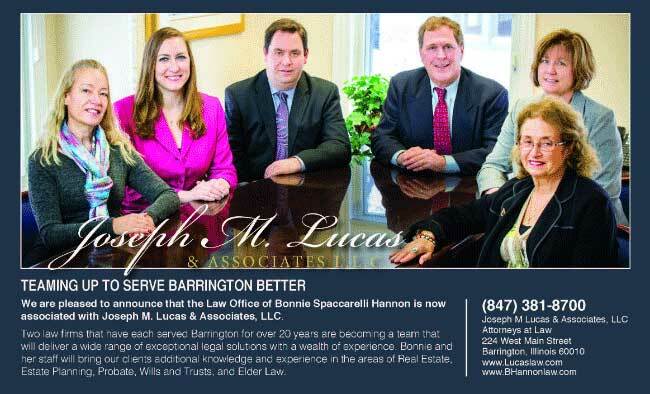 The Law Offices of Bonnie Spaccarelli Hannon, P.C., provides valuable legal services in practice areas including elder law, Medicaid planning, estate planning, wills, trusts, probate, guardianships, real estate, and 1031 like kind exchanges to clients throughout the Chicago area: Addison, Algonquin, Antioch, Arlington Heights, Aurora, Bannockburn, Barrington, Barrington Hills, Bartlett, Batavia, Belvidere, Beloit, Bensenville, Bloomingdale, Bolingbrook, Buffalo Grove, Carol Stream, Carpentersville, Cary, Chicago, Chicago Heights, Crete, Crystal Lake, Deerfield, Deer Park, DeKalb, Des Plaines, Diamond Lake, Downers Grove, East Dundee, Elburn, Elgin, Elk Grove Village, Elmhurst, Evanston, Fox Lake, Fox River Grove, Franklin Park, Freeport, Galena, Glen Ellyn, Glencoe, Glendale Heights, Glenview, Grayslake, Gurnee, Hainesville, Hanover Park, Hawthorn Woods, Highwood, Hoffman Estates, Huntley, Inglewood, Inverness, Island Lake, Itasca, Ivanhoe, Joliet, Kildeer, Lake Bluff, Lake Forest, Lake in the Hills, Lake Villa, Lake Zurich, Lakemoor, Libertyville, Lindenhurst, Lilly Lake, Lisle, Lombard, Long Grove, Marengo, McHenry, Melrose Park, Montgomery, Mt. Morris, Mt. Prospect, Mundelein, Naperville, Niles, Norridge, North Aurora, North Chicago, Oregon, Oswego, Palatine, Park Ridge, Plainfield, Prairie View, Prospect Heights, Riverwoods, Rockford, Rolling Meadows, Round Lake, Schaumburg, Skokie, Sleepy Hollow, Spring Grove, Sterling, St. Charles, Stickney, Streamwood, Sugar Grove, Sycamore, Timber Lake, Tinley Park, Tower Lake, South Barrington, Vernon Hills, Volo, Wadsworth, Warrenville, Wauconda, Waukegan, West Chicago, West Dundee, Wheaton, Wheeling, Winnetka, Wilmette, Winfield, Winthrop Harbor, Wonder Lake, Woodridge, Woodstock, and Yorkville.